You're watching Orphan Black right? I was a little late to the club since I do not have BBC America but I am now devouring it. 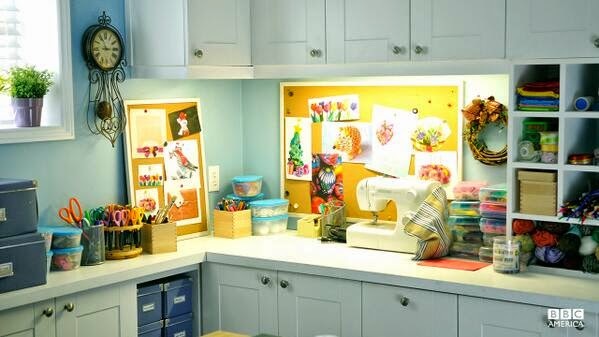 Alison's craft room, the envy of every crafty person. The ultimate in organization and efficiency. This multipurpose room is ideal for doing laundry, making handmade cards, extreme couponing or torturing your husband. Practically everything is IKEA: White INGOLF barstools at the STENSTORP kitchen island; white KASSETT boxes lining the shelves; GRUNDTAL drying rack on the wall. On the other side of the room are more KASSETT boxes. All those lovely white cabinets have RAMSJÖ door fronts with what I believe to be like HEDRA knobs. 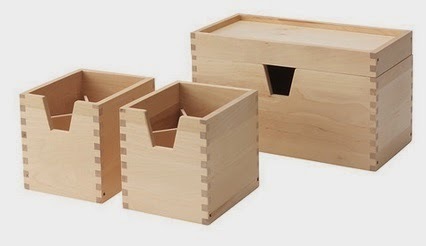 The birch storage boxes you can see in various places on the counters or in the cubbies are FÖRHÖJA. 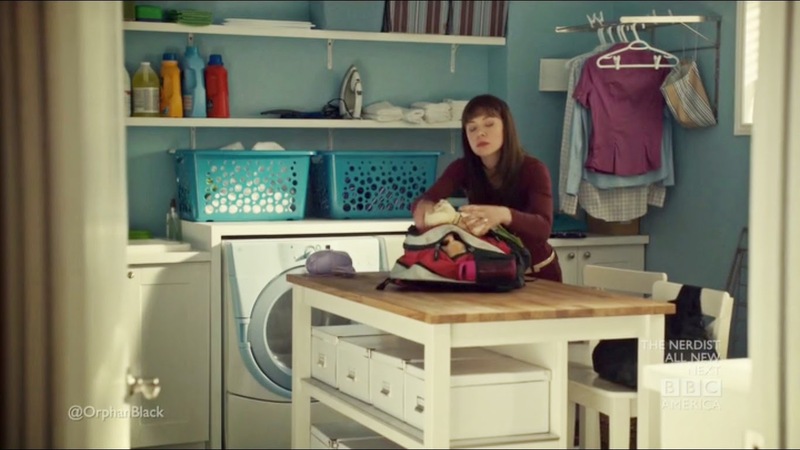 There's more IKEA in Orphan Black but for now I will leave you staring mesmerized at the craft scissor carousel. I have the craft scissor carousel. I got it, like 12 years ago at Michael's Crafts with a coupon. Because I am crafty and thrifty.